"THE SPIRIT OF LOVE AND UNIVERSAL HUMAN COOPERATION, PROGRESS and PEACEFUL COEXISTENCE OF NATIONS." 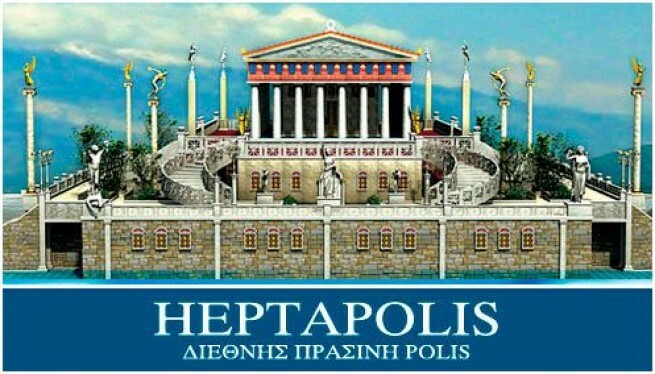 The “HEPTAPOLIS”, as an ecumenical center of Letters, Arts and Sciences will be established through a global participation of people who believe that the city would become “Navel of the Earth”, “College of the Nations." The success of this enormous project, a spiritual awareness of each human being, an any means to assist in achieving it. If you are a teacher, professor, researcher, scientist, it should state what you are and what we can offer for you to instruct the committees “HEPTAPOLIS” the appropriate area and power. If you are a writer, journalist, whether dealing with the Media and Communication, it should state what you are and what it can offer to you the award committees “HEPTAPOLIS” the appropriate field visibility and publicity. If you are a trader, businessman, industrialist, director of the institution, a multinational company or university, and economic power have said effective participation in your building of schools within the KYTTARON, or buildings in ZOSTER.